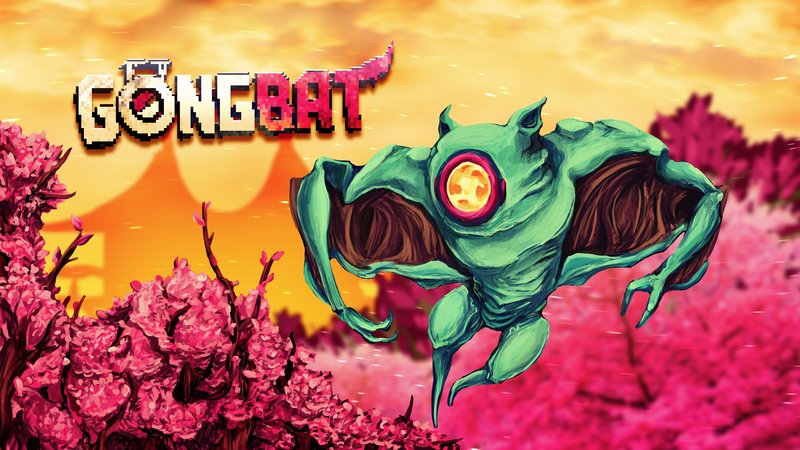 What the- a Gongbat update!? That’s right! Be warned traveller, this is the mother of all updates. Below is a compilation showing off all of those fancy new features. The main addition in this Gongbat revision is the beginning of our hero’s exposition story. Whilst vacationing in the paranormal deserts of Kousati, the Gongbat comes across a runaway grave digging crew who accidentally awoke an evil spirit named Kuvo Perry. Using an ancient instrument the crew stole, our protagonist gains the ability of telekinesis to send bullets back towards his enemies! You will be able to purchase exposition level packs from the new-and-improved Shop for $0.99 USD on mobile and 10,000 cells on PC/Mac. They include the full level with story, a new gong, three challenging boss fights, and a fresh new set of threads. A big addition coming in Kousati is the Shop feature. 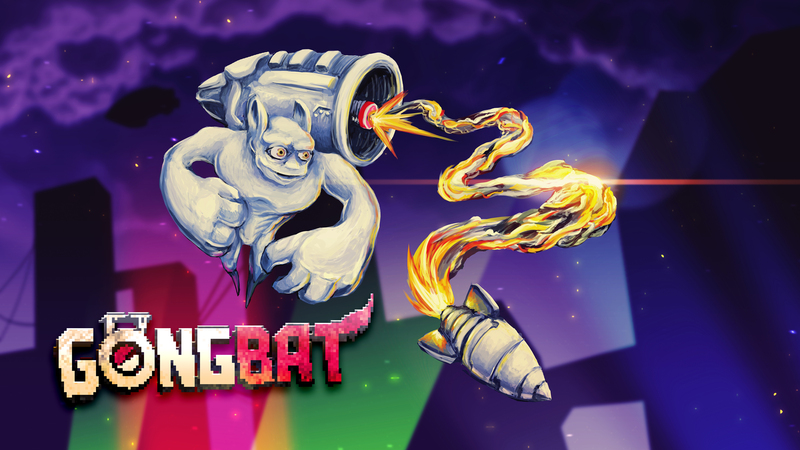 It replaces the old four-stack upgrade menu with a full interface, allowing players to purchase five different bat upgrades, five new gong-exclusive upgrades, a selection of 30+ costumes, and new levels that will be added in the coming months. The visual department in Gongbat has taken a huge overhaul. Pretty much all of the artwork has been reworked in one way or another. More colors, smoother animations, and stronger cut-scene pieces all around. All of the menus and interactive designs have been updated to reflect the mobile transition. It’s now much easier to go from shopping for costumes and upgrades, to viewing stats and trophies, to hopping right into a quick game of endless arcade in the matter of seconds. Expect lots of new options such as control modes, difficulties, and graphical settings. You can also set a default gong to be selected at the start of matches, skip those pesky cut-scenes on repeated levels, and earn tons of crazy collect-able VHS tapes. 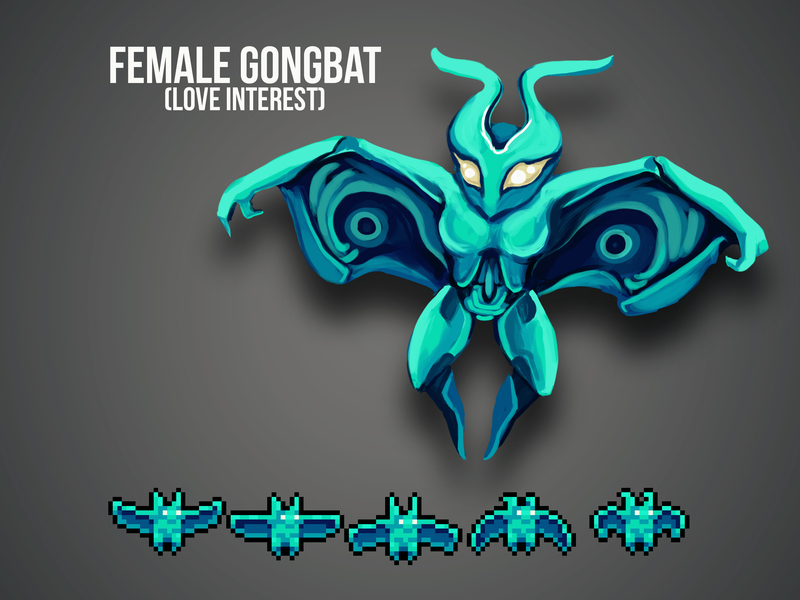 This massive update also comes with an overhaul to the main storyline, including the addition of a female lead that the Gongbat is attempting to save (shown above). Currently this character’s name is undecided, and I would love your opinions in this poll to find out what works and not. Give a new option and it might just end up in the game! Thank you everyone for all of the continuing support, and I promise to bring you updates much more often. Development will now be streamed if you would like to tune in. Also make sure to follow my Twitter page for the most pivotal additions as they come.